Lichen the Weather . . . The freeze left behind the windswept spells softens after just a day or two of damp, soft rain warm enough to compell the morning doves to coo. 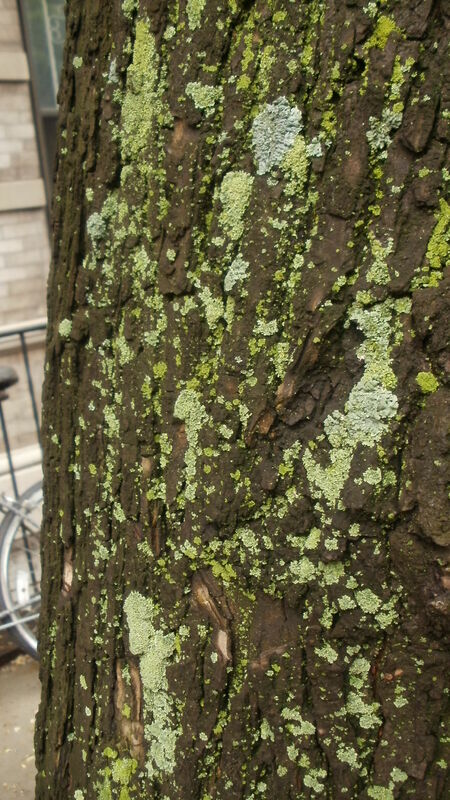 The air is crisp, damp, clean, and cool enough for the lichen to flower in the West Village. Ground level, too, starts to stir, sprout, and shoot. 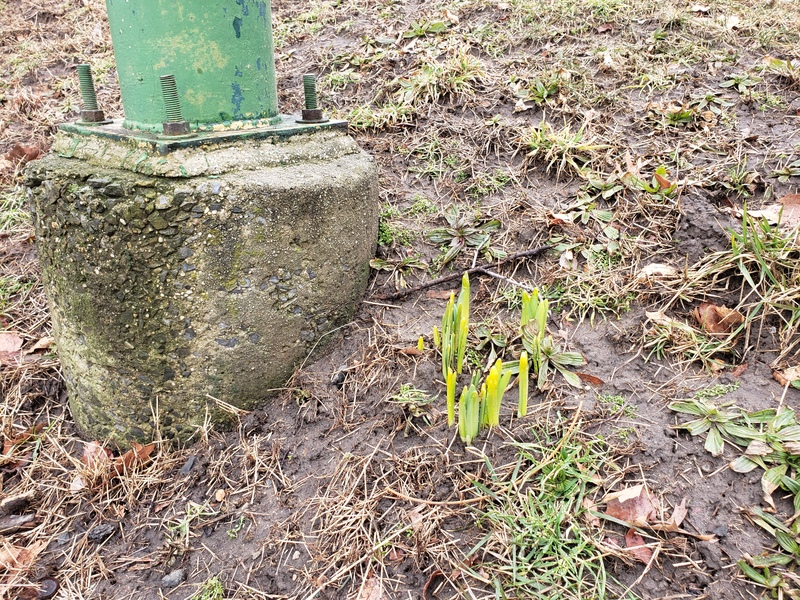 Winter Spring: a new subseason? Another Thing to “Like” About the West Village . . .
Two days of April showers have brought on a very different type of flowering along the streets of the West Village. Take note of the tree trunks; many have become wrapped in a variegated pattern of living spring greens ranging from the palest lime to a creamy mint. This unusual tree decoration is a species of foliose lichen called the common greenshield (Flavoparmelia caperata). 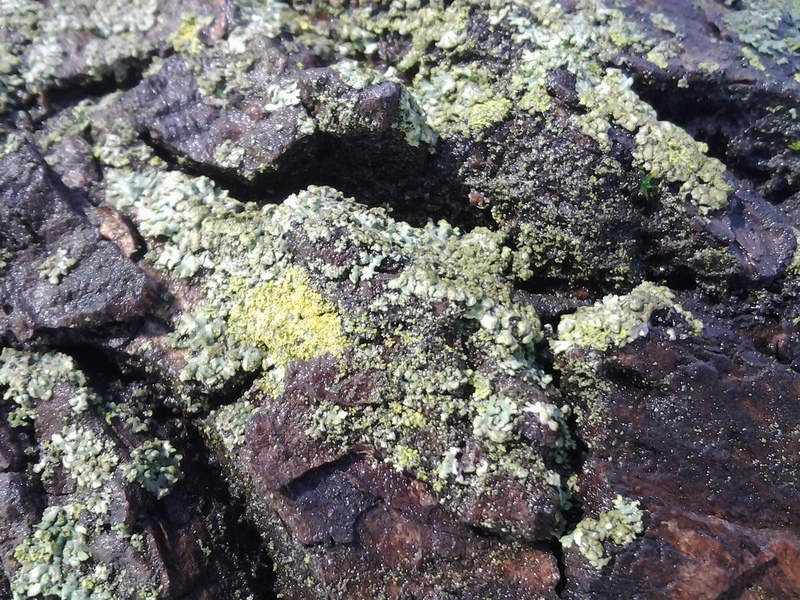 When dry, this lichen slumbers in dusty patches that range toward the yellow end of the spectrum. These bloom into thick, flaky, leafy layers of mint green after a day or two of extended rain. The lichen is not actually a plant, per se. 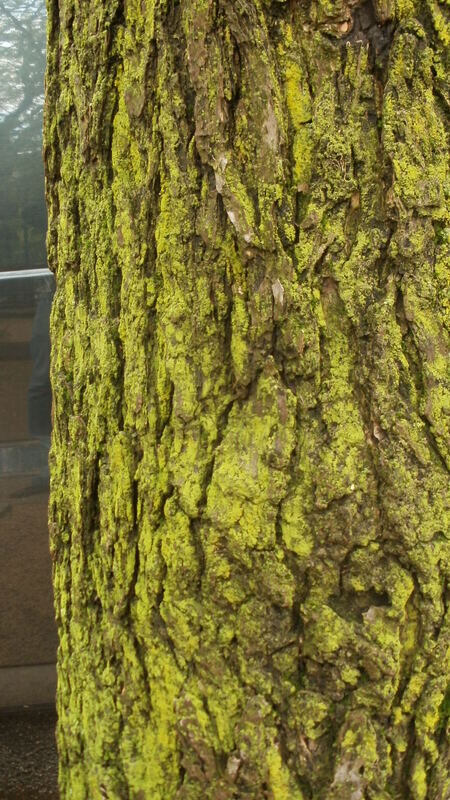 What we see growing on the bark of the living tree is a complex relationship between two organisms: a fungus and green-celled algae. 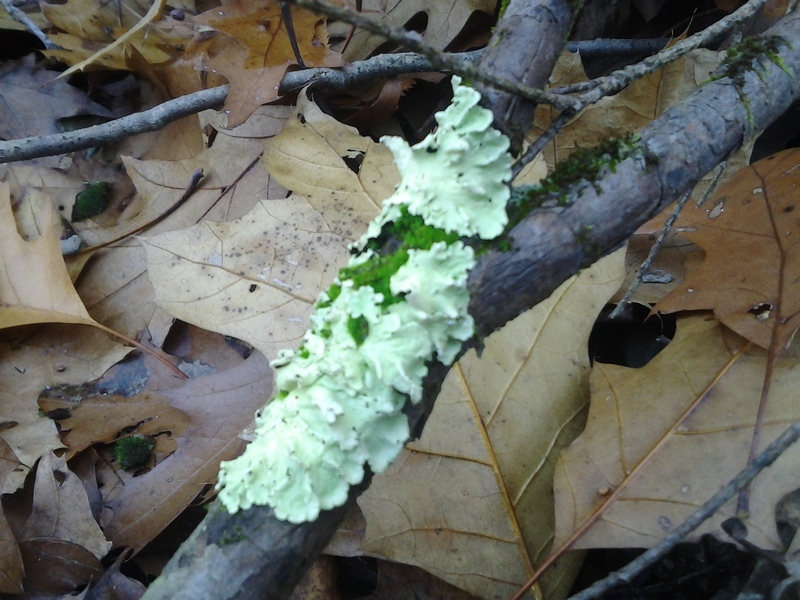 The lichen has no root system, stems, or flowers. The leafy flakes are the matrix of the fungus and the green is the algae residing inside the confines of this living architecture. The literature states that scientists are still not completely sure if this relationship should be technically referred to as Parasitism – where one of the two organisms plays the role of parasite while the other serves as host, or a case of Mutualism – where both species benefit in some manner. Symbiosis does seem to be in full effect, as the fungus provides a habitat and minerals for the algae, which in return through photosynthesis provides nutritious carbohydrates and sugars to both involved. What is known for certain is that the lichen does not affect the tree in any negative way. The bark merely provides a framework for support. I therefore view this green filigree in a cosmetic way, as an extra layer of verdure to the damp spring cityscape. A close inspection reveals overlapping color fields of painterly green. One can follow this line of aesthetic thought into the realm of fine art and conjure up similarities between the lichen’s natural palette and that of Manhattan’s legacy of Modernist painters. Some lichen growth patterns resemble the abstract expressionist canvases of Mark Rothko, Clyfford Still, and Helen Frankenthaler. 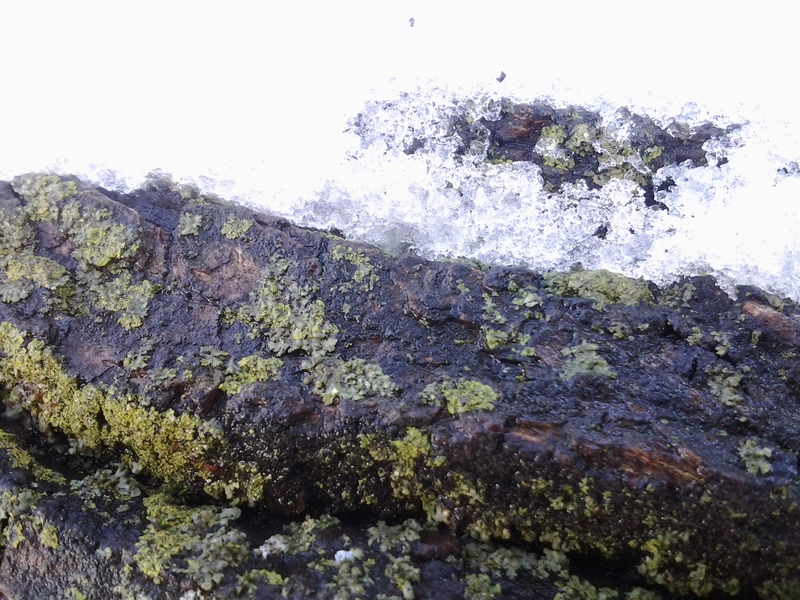 Lichens are a good sign, too, that one is breathing fine air. 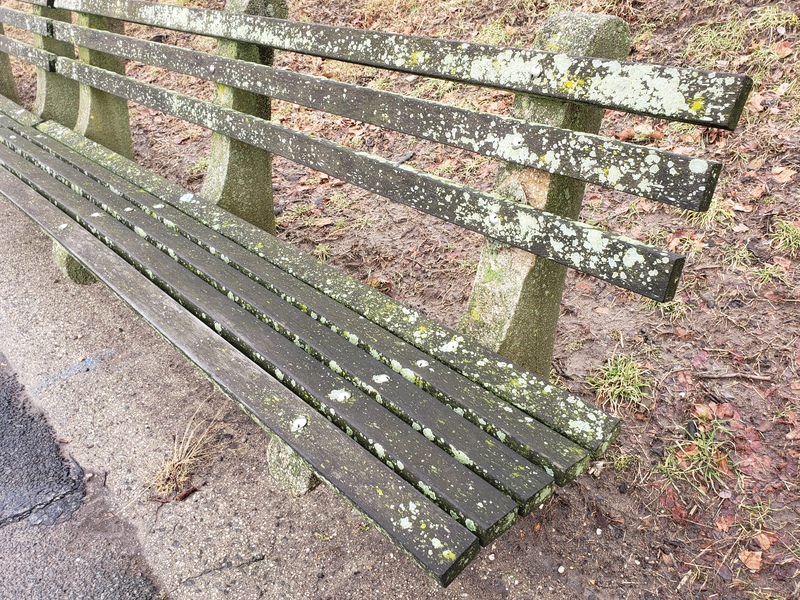 Lichens of all types are intolerant to air pollution. 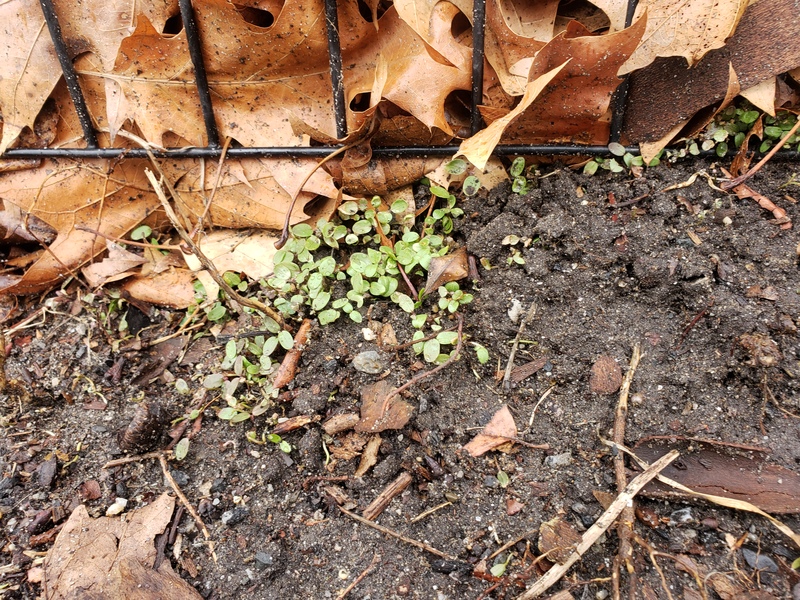 The presence of these organisms on the garden blocks of the West Village means the air of this neighborhood is some of the best in Manhattan, a claim backed up by the December 2009 report of The New York City Community Air Survey. My own nose has noted a distinct freshness – a cool, damp quality – to the air as it blows in off the Hudson River. The waterway provides a natural filtering effect before the carrying winds enter the architectural canyons of Manhattan. Conversely, by the time one is strolling along the shops of the East Village, the street has acquired that “urban air” associated with auto exhaust and secondhand cigarette smoke. There is much to like about the West Village and the lichen, by its very presence, knows this as well. 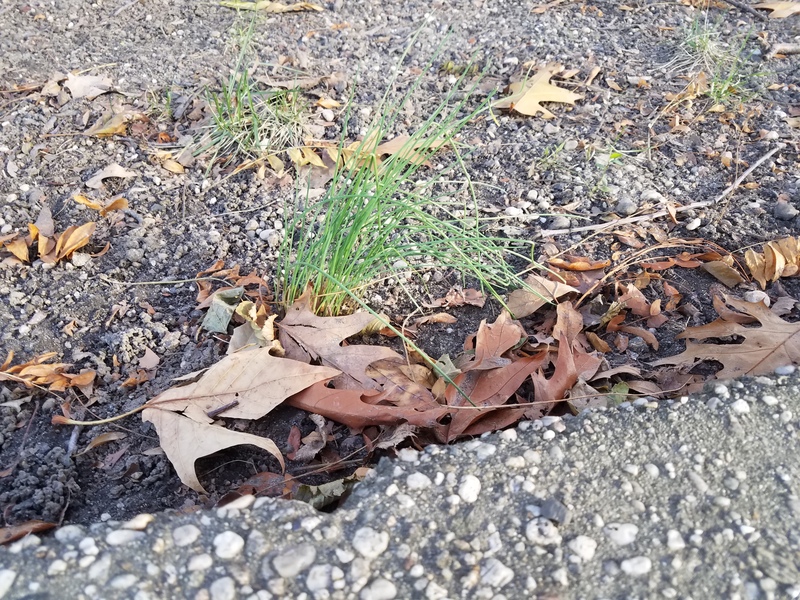 While not a wildflower in the standard definition of the term, the common greenshield has earned a rightful place in the neighborhood’s little pantheon of colorful botanical curiosities.